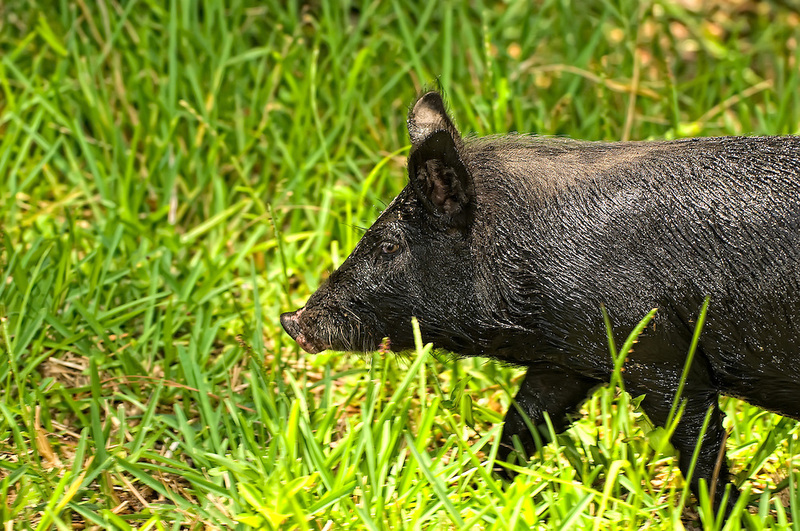 This is one of the strangest things ever .... six wild boars roamed into our suburban Fort Myers, Florida yard and had a blast rolling in the dried up, muddy canal in the back yard. I was out there with my cameras and a couple of lenses, and it was the first time I was able to get close to them. In fact - some got so close that I couldn't get a clear shot because I was using a zoom lens! Then I did something dumb. I put out my hand to see if one would come close enough for me to be able to say I actually touched a wild boar. Four of them let me scratch them and leaned into me like a pet dog would! They loved it! It was incredible!!!! I have since then been called the "Pig Whisperer" as a result.